As the new year comes closer and closer – and shops begin offering generous holiday discounts on the best 17-inch laptops – you might want to look for a solid device to start 2019 in style. And if you’re a movie enthusiast, passionate gamer, or simply prefer a wide clear picture, you’re probably looking for the best 17-inch laptop out there. The year 2018 might, or might not have been very eventful, but the fact is – there are plenty of new 17-inch laptop releases. We’re here to show you around some of the finest laptop models that came out this year, so without any further ado, let’s get straight to it. 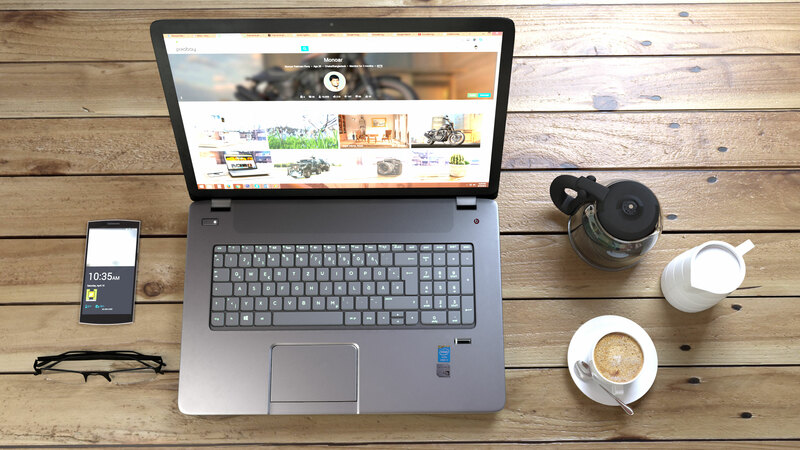 There are plenty of reasons why people choose 17-inch laptops over their sleeker, more portable counterparts: the screen is more eye-friendly than that of smaller laptops, the keyboard is larger and thus more easily accessible, and the components are usually more easily upgradable, due to the large chassis these laptops are built on. So if you’re looking for a great desktop replacement, you’ve come to the right place. We’ve selected the 10 best 17-inch laptops for 2019, so you can choose the one that best fits your preferences. If you’re looking for high-definition displays, 17-inch laptops are your best choice. Nearly all of them offer Full HD screen resolutions (1,920 X 1,080), so high picture quality shouldn’t be a problem. Though most come with touch-friendly operating systems such as Windows 10 or 8, almost none have touch screens. While this is ok with most people, touch enthusiasts – if there is any such category – might want to look for models with shorter diagonals. Depending on your needs, you might want a budget Intel i3 processor or a powerful 6th generation i7. Most of the laptops on our list come with Intel i5 or i7, which should be enough for most gaming and programming purposes. You’ve got plenty of options to choose from, again, depending on what you’re going to use your laptop for. While most of the models on our list feature a dedicated Nvidia graphics card of at least 2GB, there are some pretty solid AMD chips on the market, too. 8GB should be plenty for most purposes, from day-to-day office multitasking to moderate gaming. If you’re planning to do some hard multitasking, or if you need to run demanding programs, you might want to look for larger RAMS, such as 12 or 16 GB. Anything more than that is more for future-proofing reasons than anything else. For most purposes, you’re probably not going to need more than 1TB of HDD. To supplement that, especially if you need to load large amounts of data rapidly – for instance, if you’re a programmer, an architect, or a sound engineer – you might want to invest in models that feature additional SSD memory. We’re closing down the curtain with Lenovo’s IdeaPad. 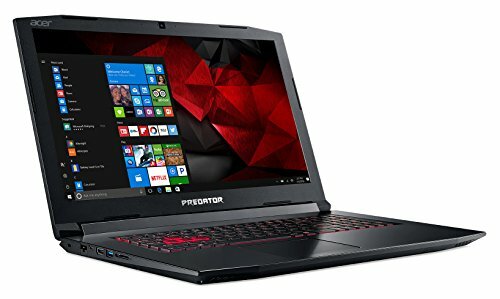 Basically, this model is for people who don’t have the means to afford the latest gaming/programming laptops, as this is the cheapest one with high specs we could find. Aside from the “being cheap” part, we liked how the performance scales with the price. Basically, this is not an ultra-strong laptop, but it’s stronger than most similar models in the price range. Even though you could pitch in a couple hundred bucks and get a Predator, the IdeaPad offers everything a gamer/programmer/music producer needs. Sure, it’s not as strong as VivoBook or Hp’s Envy, but it’s just right. It doesn’t have any notable major flaws. This is the first and only model that belongs to the “affordable” price range, and you shouldn’t be too surprised at the fact that it costs nearly half as much when compared to our other picks – it’s not as strong, or as fast, but it’s just as valuable as each and every one of them. If you’re low on cash, Lenovo’s IdeaPad sounds like a great idea. In fact, even if you do have enough money to buy a Predator, this one will do the job just fine – consider skipping it if you want to play the latest games on ultra high specs, though. 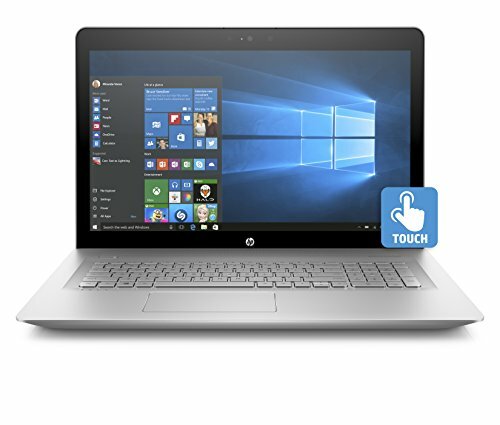 This HP model gives you plenty of value for the money. Dell’s Laptops are very famous in the gaming sphere, and G3779 might have a higher level of renown than most similar models. 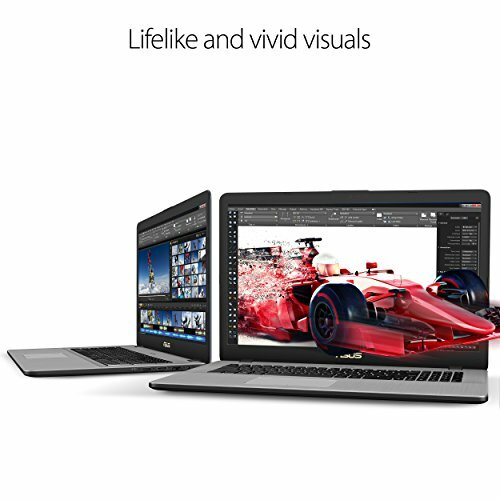 In essence, this is a highly valuable high-spec laptop which doesn’t cost as much as models with similar features. 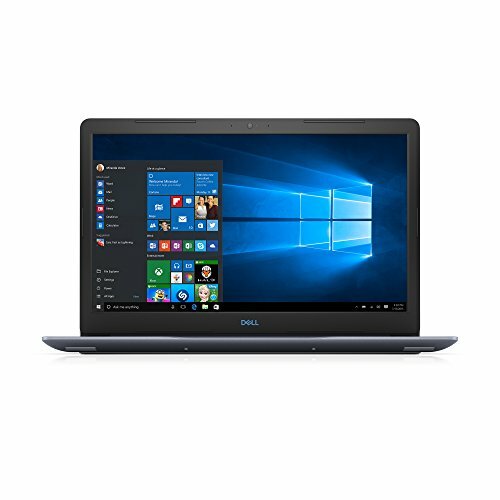 8th generation of i7-8750H (six cores), 8th gigabytes of 2666MHz DDR4 RAM, a terabyte of HDD combined with 128 gigabytes of SSD, and anti-glare LED-lit display – these are the core features of Dell’s G3779. Convenience features combined with a powerhouse core – these are the two things that compelled us to label G3779 as one of the best 17-inch laptops you could find in 2019. The price isn’t too steep too. There are minor connectivity issues concerning USB-C ins, which appear to be the only problem you could have with this laptop. Dell’s G3779 is in the upper bracket of the “moderately affordable” price point category, which means that it’s not reserved for those with deeper pockets. It holds a superb value for the money. Even though it might not be the perfect laptop, Dell’s G3779 surely is pretty close to being one. 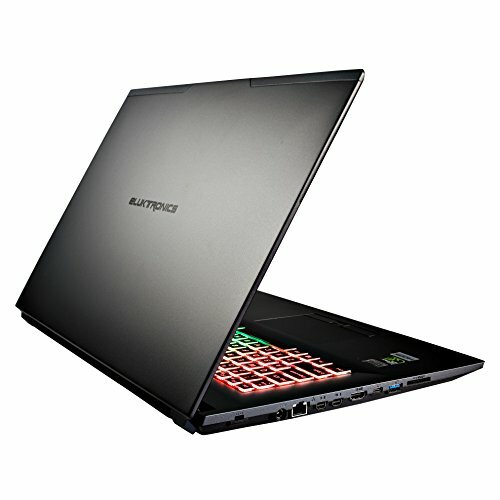 This laptop has a powerful set of core features which will serve any gamer, producer, or programmer nicely. Just as the name implies, HP’s Envy is the pride and joy of this phenomenal brand. 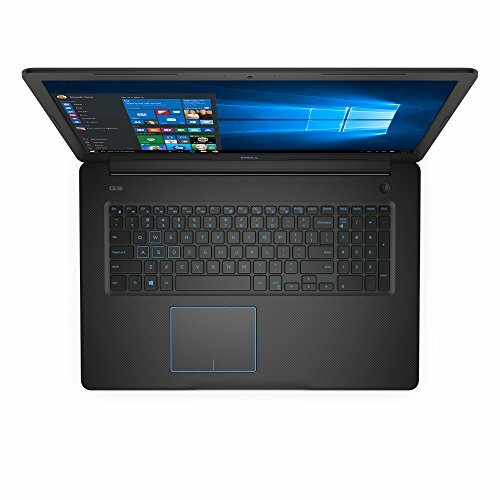 This is a strong, fairly priced laptop which boasts a huge battery lifespan, a decent all-around configuration, and a great value for the buck. Hp’s Envy packs a 7th generation i7-7550U processor (2.7 – 3.5 GHz), Nvidia’s GeForce 940 MX graphics, 12 gigabytes of DDR4 SDRAM, and a terabyte of HDD (no solid state drives here). The battery can provide enough juices for up to seven straight hours while the recharge time is pretty low. Easy to maintain, quick recharge, solid performance, and awesome graphics are the most notable things you’ll recognize about Envy. This is also one of the Amazon’s Choices in the 17-inch laptop department, so you can rest assured that this one’s a safe bargain. The lack of solid state drive isn’t troubling, but it’s a downfall considering that all of the 17-inch laptops we’ve covered so far came with one. HP’s Envy is in the same price point category is VivoBook (“moderately expensive” price point category). It has a little flaw that doesn’t really affect its overall value, but what’s really important is that this feature configuration can’t be found at a lower price. If you’re looking for a simple, yet powerful laptop, HP’s Envy is perfect for you. This model offers the most basic commodities on the highest level possible and doesn’t cost a fortune all the while. Asus laptops are always in high demand, and for a good reason too. These guys make some of the finest tech gear available on the market, and their VivoBook is pretty versatile – you could use it for gaming, to watch movies, code, encrypt or even record music. Let’s see what this little fellow can offer you. 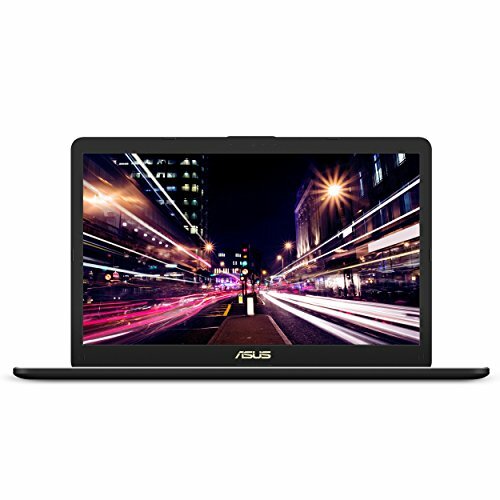 Asus VivoBook comes outfitted with the 8th generation of i7-8550U CPU processor, GeForce GTX 1050 graphics, 16 gigabytes of DDR4 ram, and a combo of 1 terabyte HDD plus 256 gigabytes of SSD. The keyboard is backlit and ergonomic in nature, and the laptop itself is pretty compact and lightweight. It’s not as pricey as the models we’ve reviewed so far, and it boasts a formidable configuration. Apart from that, Asus VivoBook is quite versatile and boasts lightweight, easily portable design. The battery lifetime of VivoBook is okay, although it’s not when the lap is working at full capacity. Playing demanding games or otherwise encumbering your VivoBook with CPU-heavy tasks will result in huge performance drops. Otherwise, it works as a charm. Although VivoBook isn’t exactly cheap, it’s far from being as expensive as the models we’ve reviewed so far. Namely, it costs just above $1000, but it does a major bang for the buck. VivoBook is great for casual gamers and people who want a high-spec laptop, but those of you who are draining CPU often might want to continue browsing through our selection of the best laptops in 2019. Asus brings nothing but perfect laptops to the market, and such is the case with Asus ROG Strix GL703VD. If you’re looking for a high-value, high-performance lapop, don’t miss out on this one. Asus ROG Strix GL703VD comes outfitted with 7th generation i7-7700HQ quad-core processor, GTX 1050 graphics (4 gigabytes with duo-thermal design), a terabyte of HDD combined with 256 gigabytes of SATA SSD, and Aura lightning keyboard with four isolated hotkeys. 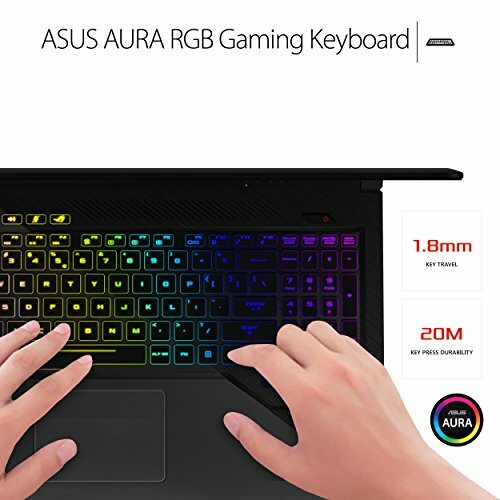 The keyboard and lightning effects on Asus ROG Strix GL703VD sure attract a lot of attention among gamers, but what makes it so awesome is its slim, lightweight profile. It goes without saying that Asus laptops come with brutally strong specs, but not all of their models are as portable as this one. As much as color-lightning keyboard and hotkeys are attractive, they aren’t particularly useful for anyone apart from gamers. In fact, other applications might be hindered by them. 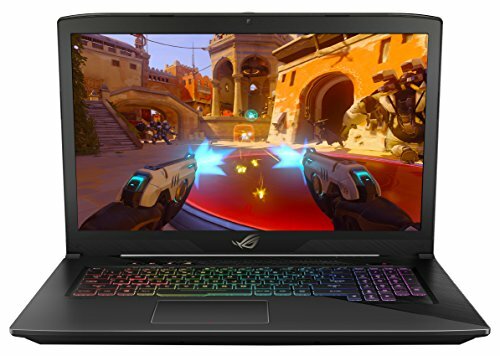 Asus Rog Strix belongs to the “moderately expensive” price point category, and it does a major bang for the buck – great for gamers, although the exceptional configuration of this laptop could be useful in any pair of hands. Eluktronics is the first underdog brand we’re mentioning – they might not be as famous as Dell, Acer, or Alienware, but they’ve done an amazing job with N870HP 6 Pro-X gaming laptop. It’s a bit weaker when compared to our picks so far, but it costs less in turn. 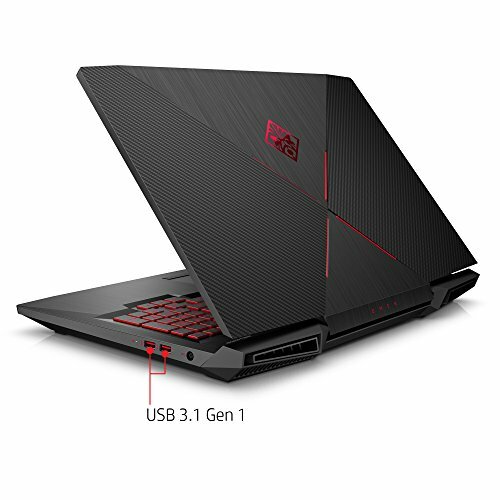 In essence, main specs and features of N870HP 6 Pro-X gaming laptop are 7th gen i7-7700HQ processor (most models so far featured 8th generation CPU), 6GB GDDR5 VRAM and 16 gigabytes of DDR4 RAM, GTX 1060 graphics, and anti-glare 17-inch display. It also features a 2-megapixel webcam and Bluetooth 4.2. Even though it looks plain, N870HP 6 Pro-X gaming laptop comes outfitted with top-shelf features. It lags a bit behind its more expensive buddies, but it’s a perfect laptop for gaming and music recording. The only thing we didn’t like about N870HP 6 Pro-X gaming laptop is the fact that it heats up rather too quickly, especially while you’re gaming. 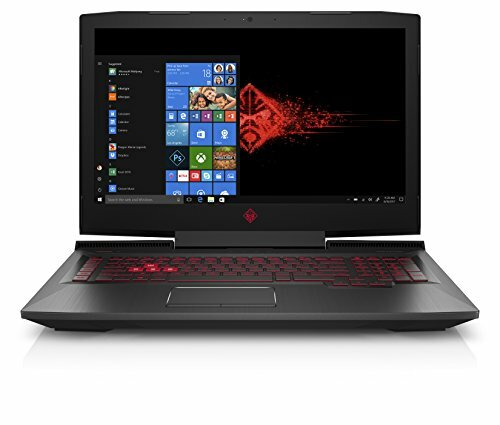 Basically, N870HP 6 Pro-X gaming laptop packs a huge value for the buck – it belongs to the “moderately expensive” price point category, but it’s slightly less expensive than our previous pick. Eluktronics N870HP 6 Pro-X gaming laptop isn’t receiving the praise it should – this laptop isn’t as famous as Acer’s Predators or HP’s laptop models, but it boasts a massive value for the buck due to its exceptional performance and reliability. Numerous tech lovers and enthusiast figure “Dell” and “Laptops” as synonyms. Inspiron might be Dell’s finest work, so let’s see what this amazing laptop can offer you. This laptop features 8th generation of Intel i7 processor, 16 gigabytes of DDR 4 (upgradable to 32GB), a massive 2 terabyte HDD combined with 256 gigabytes of SSD, and this one’s interesting – a tray load drive (can read or write DVDs and CDs). The display features anti-glare technology, just like our previous picks. Firstly, it comes with pre-installed Windows 10 software. Even though there are people who don’t really like it, it’s better than having to configure your own right out of the box. Aside from that, the specs are plainly awesome, and this laptop has more storage space than any we’ve come across so far. Frankly, everything about Inspiron is “inspiring”. This is an amazing, high-performance laptop which virtually doesn’t have any drawbacks or flaws whatsoever apart from costing a bit too much for comfort. Dell’s Inspiron is in the same price range as Acer’s Predator Helios 300 – the “moderately expensive” price point category. Its value, actually, might be even higher in comparison as it brings more benefits to the table. If you need the extra space for your games, movies, or projects, there’s no laptop which could give you a better way of storing them than Dell’s Inspiron. It’s strong, reliable, fast, and it should be yours if you can pay for it. Acer’s “Predators” are taking the market by storm, and gamers simply can’t wait for a new release. Since we’re here to discuss the best 17-inch laptops you can find in 2019, this year’s Predator is Helios 300 – a brutal powerhouse with top-shelf configuration you simply don’t want to miss out on. 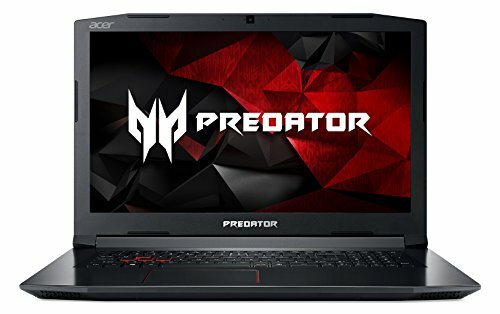 Acer’s Predator features 7th gen Intel i7 3,8GHz processor, Nvidia’s GTX 1060 with 6GB of GDDR5 VRAM, 16 gigabytes of DDR4 RAM, and a combo of 1 terabyte HDD plus 256 gigabytes of SSD. Its battery is even stronger than Omen’s, being able to last for up to seven hours. Overall, this is a perfect gaming configuration, although coders and music producers will find great use of it. Generally, Predators always look awesome, and the Helios 300 is not an exception. 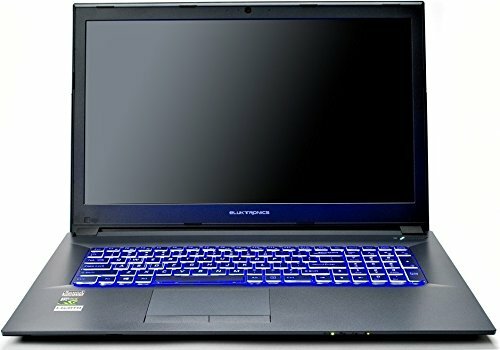 This laptop looks modern and fashionable, to say the very least, as it features subtle cutaways on the top, brightly shining gamer buttons (W, A, S, and D), and a reflectively black finish. Apart from that, we liked the massive storage capacity and exceptional performance of the Predator Helios 300. Its battery lifetime surpasses that of Omen by some 30 minutes, which might not appear as much, but it will mean the world if you’re in the middle of a multiplayer online game. Specs of Helios 300 are plain awesome, but there are people who report having problems with dead pixels – this sort of event might be just a coincidental mix of standalone cases, and we truly believe that this sort of thing won’t (and can’t) happen to a brand as big as Acer. The only “real” problem people have with Helios 300 is the price. In essence, Acer’s Predator Helios 300 belongs to the “moderately” expensive price point category, which is a step below our previous picks. It does cost quite a lot, but it doesn’t cost a fortune, to say the least. Its value for the money is, nevertheless, exceptionally high. People love Acer’s Predators, and if you happen to be a gamer in search of a high-performance lap machine, you should definitely give Helios 300 a chance. Next up is HP’s Omen gaming laptop. It’s similar to Alienware’s laptop in terms of storage space (SSD plus HDD), processor, and backlit display, but what makes it so good is its beautiful outward appearance and huge battery lifespan. It also costs a bit less in comparison to our best-for-the-buck pick, so if you’re intrigued, don’t skip out on HP’s Omen. Omen packs quite a punch with Intel’s I7 six-core processor, Nvidia’s GTX 1060 graphics, and 16 gigabytes of DDR4 SDRAM (2666). Just like our previous pick, Omen features the anti-glare backlit display and has enough room for all the games, movies, and programs you might need with a terabyte of SATA hard drive and 128 gigabytes of SSD. Great configuration, sleek design, and several convenience features (backlit anti-glare display, flashy gamer buttons) are the prime reasons why we dubbed this model as one of the best 17-inch laptops you could find in 2019. There are, of course, other things that you might and will like about it, such as the high battery lifespan (of six hours approximately), and the pre-installed Windows 10 software. There are only two things that strike out from Omen’s flair. Firstly, it’s pretty expensive, but that’s not too much of a deal, but secondly, the primary drive could be a bit larger. The M2 drive is relatively small, so upgrading it might become an issue at some point. Omen belongs to the same price point category as the Alienware’s laptop (“highly expensive” price range), so naturally, it’s not recommended for gamers who are low on cash and people who don’t exactly need an ultra-performance laptop. Be it as it may, its value for the money is exquisite. The benefits Omen offers are more than enough to outweigh the small flaws it comes with. It’s a great laptop for all kinds of purposes, and if you have the cash, we warmly encourage you to give it a shot. The first laptop we’re reviewing comes from Alienware, and we’ll call it AW17R5 as its full name is a bit too long for the purposes of convenience. It’s very pricey, but it also sports a huge value for the buck – it comes outfitted with cutting-edge technology and latest features, such as Intel i7 processor, anti-glare display, and more. Alienware’s AW17R5 comes supplied with some sweet technologies. It boasts 8th generation of Intel’s I7-8750H six-core processor, which can attain up to 3.9 gigahertz’s with the turbo boost feature. It also features 8 gigabytes of DDR4 (2400MHz) of RAM, a terabyte of HDD plus 8 gigabytes of SSD [solid state drive], however, the optical drive isn’t included. The display actually sports 17.3 inches (0,3-inch bigger than what we were after), but it comes with anti-glare technology so we couldn’t pass up an opportunity such as this. There are plenty of things you could like about Alienware’s AW17R5. Its processor is the latest letter in technology, the storage capacity is huge for a laptop, RAM is, perhaps, stronger than you’d require, and the anti-glare display will allow you to code, game, or watch movies for hours without straining your eyes. Overall, this might be the best 17-inch laptop you could find in 2019. 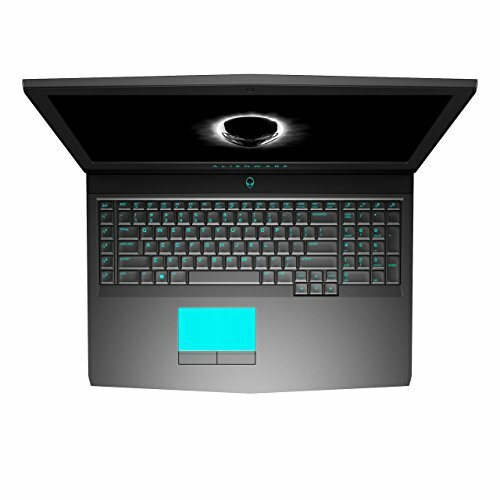 In all truth, Alienware’s laptop has it all – it’s powerful, looks great, and it’s as reliable as can be. However, it’s pretty pricey, and it’s safe to say that most people (gamers specifically) wouldn’t feel too inclined to save up for weeks, maybe months in order to get it. It’s obvious that Alienware’s AW17R5 is quite expensive, but it does a major bang for the buck. 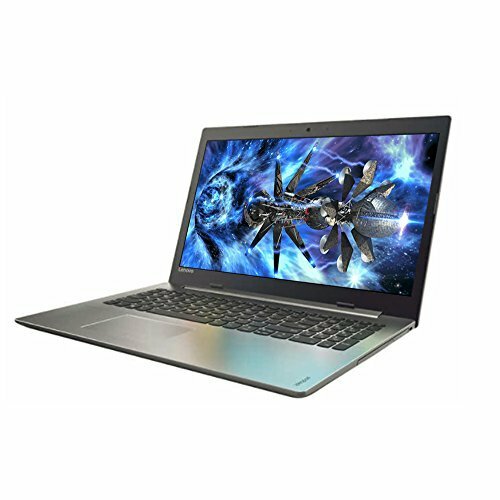 It belongs to the upper bracket of the “highly expensive” price point category, but if you’re prepared to pay top dollar, this is a perfect laptop for you. 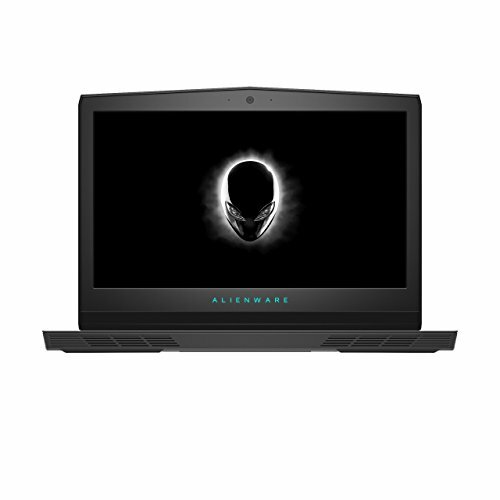 In essence, you could find a less-expensive laptop for gaming, studio recording, or coding, but this one has it all – the features that come with Alienware’s AW17R5 represent bleeding-edge technology, and it’s worth every dime. We hope you’ve enjoyed our selection of the 10 best 17-inch laptops in 2019 – we’ve covered everything from the cheap, but robust Lenovo G-70 to the unbelievably high-tech Asus G752VS. It’s now up to you which model you’re going to choose. All you have to do is make sure you pick one that responds well to your needs, so you can enjoy a smooth, fulfilling IT experience.